Are you looking for a great place to host your child’s birthday party? There are so many choices, but unfortunately, many parents return to the same old places again and again – for example, bounce houses. Below you’ll find some other party ideas that may be a bit more creative. Please note that this is my own collection of birthday party place ideas – no business have paid to be on it. 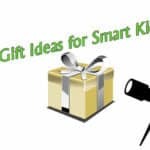 The list contains links to party favor ideas which are sponsored by and link to Amazon.com. 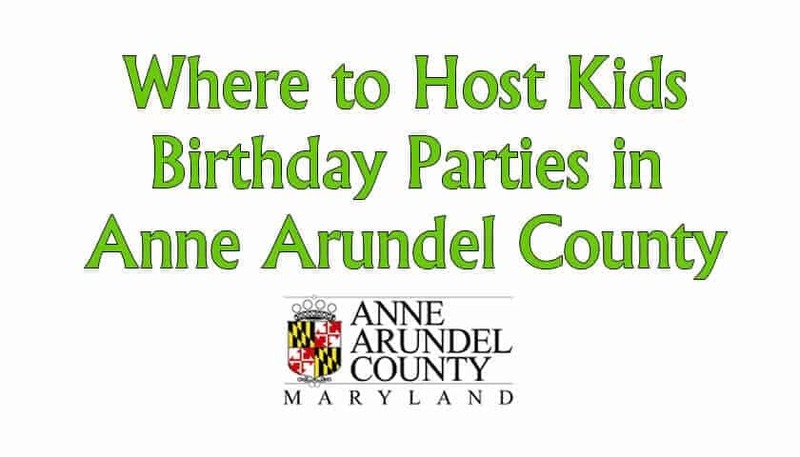 This list of birthday party ideas is mainly for people who live in or near Anne Arundel County, but if you live elsewhere, there are probably similar places near you! Whole Foods Cooking Lesson Party (Ages 5+) The the Whole Foods in Annapolis has a closed off kitchen area where they hold classes and parties. The kids will get a cooking lesson and learn about the store. If you’re looking to hold a baking birthday party, this is definitely the place. When I attended a party at Whole Foods Annapolis, we made guacamole in a bag, which was great for a party for 6-year olds. Older kids can make more serious culinary creations. Unfortunately, not available for toddlers. 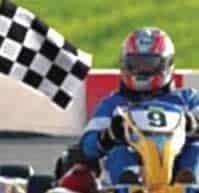 Go Kart Speedway (Ages 5+) in Crofton Maryland. Looks like a blast. This venue doesn’t really have a reservation system, so you just show up with your party and have a ball. This would be especially good if it’s a last minute party. There will be plenty of fun and smiles. Craft parties (Ages 4-10): Have your party at Michael’s Craft Store. Michael’s provides a party room where your group can do a craft together. Paint Parties (Ages 5+): Muse Paintbar in Annapolis hosts kids parties where they can paint on canvas or glasses. The painted masterpiece is the party favor. Is your child a cat lover? 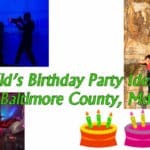 (Ages 7+) Have a birthday party at Cats in Cups on defense Highway in Annapolis. Cafe setting with a dozen or more cuddly cats to play with. Indoor pool parties (Ages 2+) There are many places in Anne Arundel County where you can hold an indoor pool party. 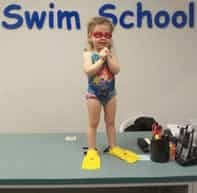 For example, at Kid’s First Swim School in Severna Park you can hold a party for about $250 for an hour of swimming and an hour of room use.There are also other venues that offer kid’s pool parties. For example, the North Arundel Aquatic Center is a great choice. 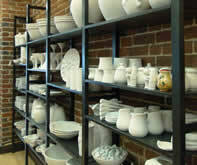 They also have a party room and very reasonable rates for large parties. This is a great birthday party for toddlers, but usually the parents are going to have to swim with their kids. Rock climbing parties (Ages 5+) There aren’t any notable rock climbing facilities in AA County. 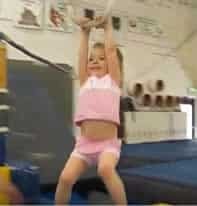 If Laurel isn’t too far away, consider a party at ClimbZone. 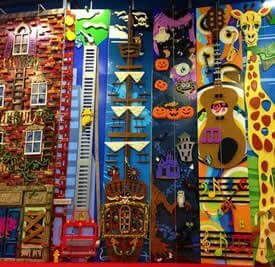 The place is really fun with some very creative climbing walls including a giant book shelf and “Mount Rushmore”. You may want to check with the Pip Moyer Center in Annapolis, as they do have a climbing wall there. Also, see Big Vanilla, below. Ballet and dance parties (Ages 2-10). 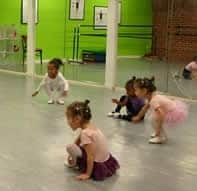 The Annapolis Dance Academy in Arnold is a great choice for kid’s BDPs. 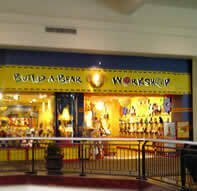 Build-A-Bear (Ages 2-7) – Kids of love Build-a-Bear parties. The location in Annapolis mall does a great job with parties. Consider having snacks in the food court area before the party. Bowling parties (Ages 5+) Bowling parties can be fun, but I would caution parents to steer towards older kids with this idea. Even with bumpers, the game can be frustrating for younger children. Definitely go for duck pins if possible. Although they are relatively rare, the bowling alley in Severna Park still has them. By the way, the Severna Park alley is a great environment and kids older than 7 are sure to have a great time there. My only complaint about this place is that the food choices just aren’t healthy. For example, their popcorn is full of chemicals. If you have a party here, you aren’t allowed to bring in your own food except for a cake. Roller skating (Ages 5+) The Skate Zone roller skating rink in Crofton has birthday parties starting at about $260. 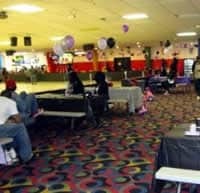 Another good choice is the roller skating rink in Odenton. Ice skating (Ages 5+) The Piney Orchard Ice Arena is a great place for a birthday party year-round. Great deal! They have a party room upstairs, and accommodate quite a few people with skating for $200. For kids who don’t know how to skate, they have “walkers” to help them on the ice. Nice place. In the winter, there’s also the Glen Burnie outdoor ice rink. Music Birthday Parties (Ages 2-7) – School of Rock in Gambrills and Arnold offers music birthday parties. Paintball (Ages 8+) Paintball parties can be lots of fun…there is a great paintball venue in Pasadena called Paintball Sports and Supply (Curtis Bay). 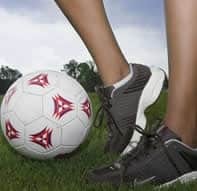 Soccer Parties (Ages 5+) This is a great idea for your soccer loving girl or boy. The Soccer Dome in Harmans is a great place to host a party. 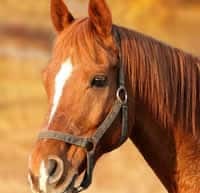 Horse center parties (Ages 6+) Mane Event in Pasadena offer birthday parties for your horse-loving child. Terrapin Adventures (Ages 6+) (301-725-1313) This is a tree-top adventure park located in Savage, MD (Howard County). This place is really fun, and would be an especially good party in late spring or early fall. 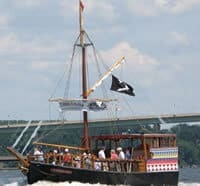 Pirate Party (Ages 7+) on the Urban Pirate boat that sails from Baltimore or the Chesapeake Pirate Boat that leaves from Eastport. This is a great idea for a warm-weather birthday. 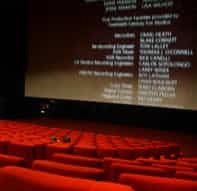 Movie Theater Birthdays (Ages 3+) Arundel Mills Cinemark Egyptian Movie Theater or Bowtie Theaters in Annapolis Mall are easy choices. 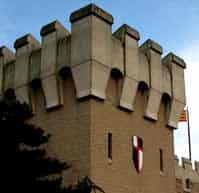 They have party areas and offer group rates. Let the movie you watch dictate the theme of your party (ie-Peanuts or Disney Princesses). Dave and Busters (Ages 4+) Dave and Busters in Arundel Mills mall is a very popular party venue. Kids will have fun, but usually very busy there. 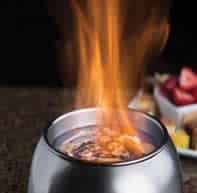 The Melting Pot (Ages 7+) This is a great place to have a party with a small group of your child’s friends. This place is always a hit. Parties here are probably going to take at least 2 hours, so just collect parent’s mobile phone numbers and text them when dessert arrives to pick up their kids. Rent a pavilion at Quiet Waters (Ages 2+) In the summer, Quiet Waters park is a great place for a party. Rent a pavilion and enjoy some time with kids running around. 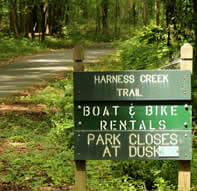 You could also consider renting kayaks or canoes there for added fun for older kids. 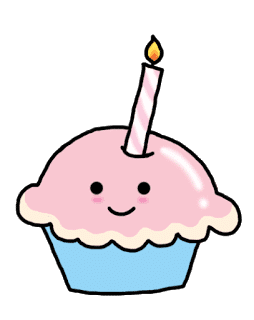 Have a Lego birthday party (Ages 5-10) – Bricks Galore in Crofton has lego parties at their store, and so does Brick House in Annapolis! Another option is to contact Brikz for Kids -You’ll need to provide a space for this party, but this is definitely a cool way to go. Fire House Birthdays (Ages 3-7) Consider having a birthday party at one of the firehouses in Anne Arundel County. These parties are exciting and fun, plus it is a wonderful way to support the local volunteer fire departments. 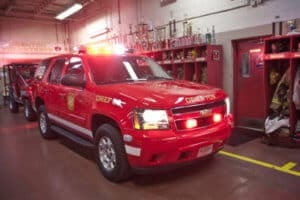 For example, see the Odenton Volunteer Fire Company website. Pottery Party at Clay Bakers (Ages 5-10) Clay Bakers on Main Street in Annapolis is a great place to hold a birthday party. You’re guests will be able to socialize together as they paint mugs, plates, etc (whatever the hold chooses) and then they will be able to have their creation as a party favor memory (there might be a few days before they have a chance to put the items in the kiln). This is a great place for a party! YMCA (Ages 3-10) – YMCA (formerly Big Vanilla) has a variety of parties including dance, martial arts, swimming, cheer leading, tumbling, and rock climbing for kids. Even if you’re not a member, I believe you can still have a party at this venue in Pasadena, Maryland. 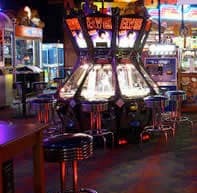 Chuck E Cheese’s – I am not the biggest fan of Chuck E Cheese, but I know alot of families like it. There is a location in Glen Burnie. Token prices are low—maybe around 20 cents each depending on which package you get. 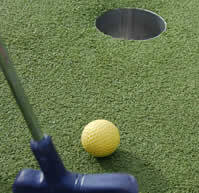 Miniature Golf (Ages 7-10) – Night Hawk Golf Center in Gambrills/Crofton has a fun, 19-hole miniature golf course. 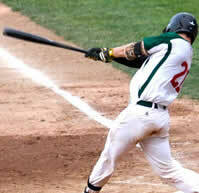 They also have basketball and batting cages. Party packages are available. Severna Park Golf Center also offers miniature golf. Younger kids can play, but the game may be frustrating for newbies. 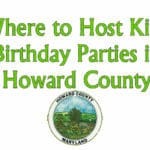 Baseball Park Birthday Parties (Ages 6+) – Obviously these three aren’t in Anne Arundel County, but an unforgettable birthday could take place at Camden Yards or Nationals Park. Another option, just as fun might be a Bowie Baysox birthday. Lady Bug Kid’s Glam Spa (Ages 5+) – Hold a princess party with manicures, pedicures, and more in Crofton. They have a party room, a stage, a candy bar. Sounds like a great place to hold an amazing party. 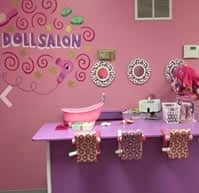 You may also want to check out Pig Tails and Crew Cuts in Annapolis for a variety of parties for girls and boys. 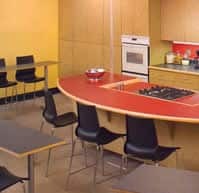 Wiggle Room – Located in Crofton, this new 3,800 foot indoor play space hosts fun parties with free gourmet coffee for the adults. Looking to have a birthday party at your house? See my birthday party theme ideas.